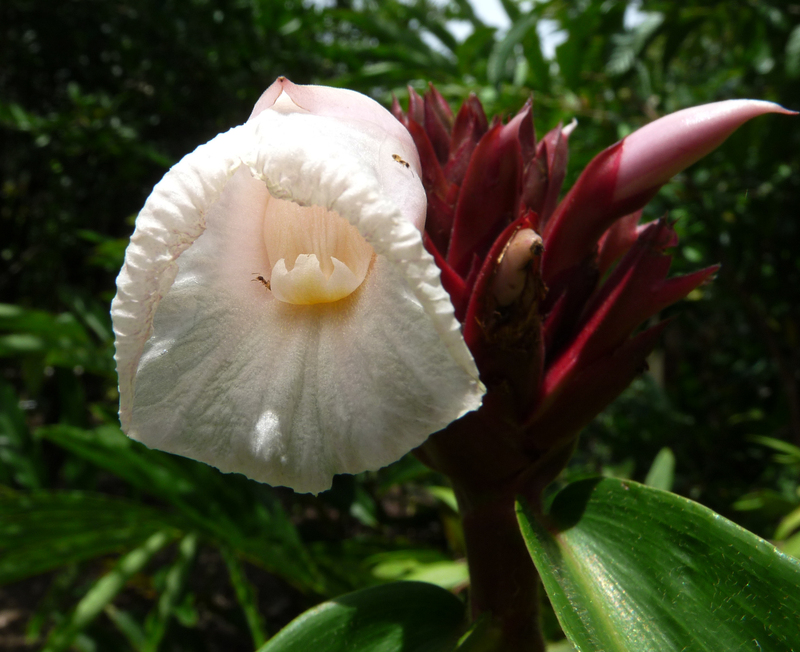 Another interesting plant discovery has been Costus potierae which is easily mistaken for the, now very common, exotic Costus speciosus from India. A botanically knowledgeable friend showed Allen where it was growing on the edge of some remnant rainforest about 1 km from our gate. 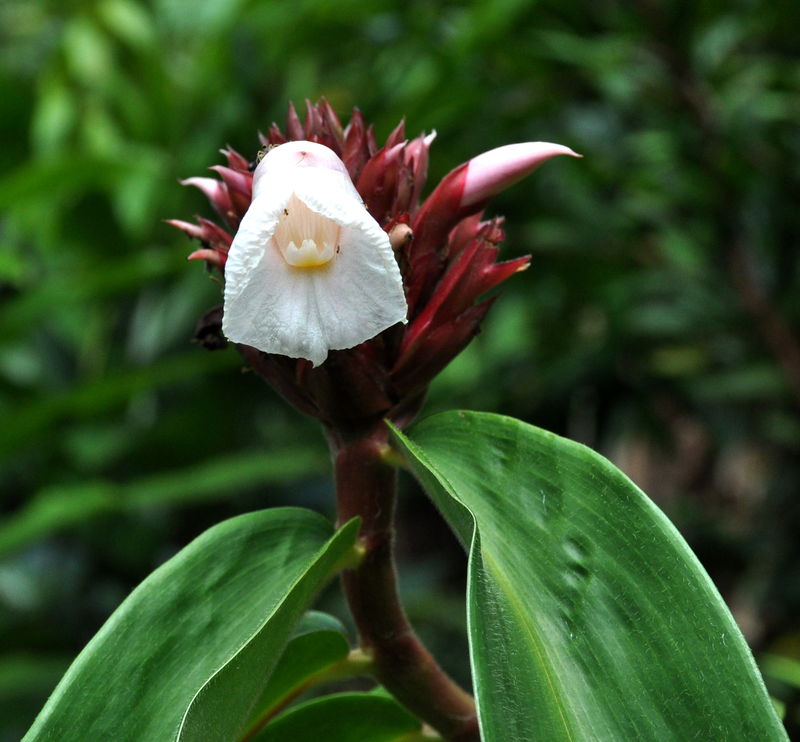 This native Costus has hairs growing on the upper surface of its leaves which enables it to be distinguished from the introduced form with its shiny upper surface. 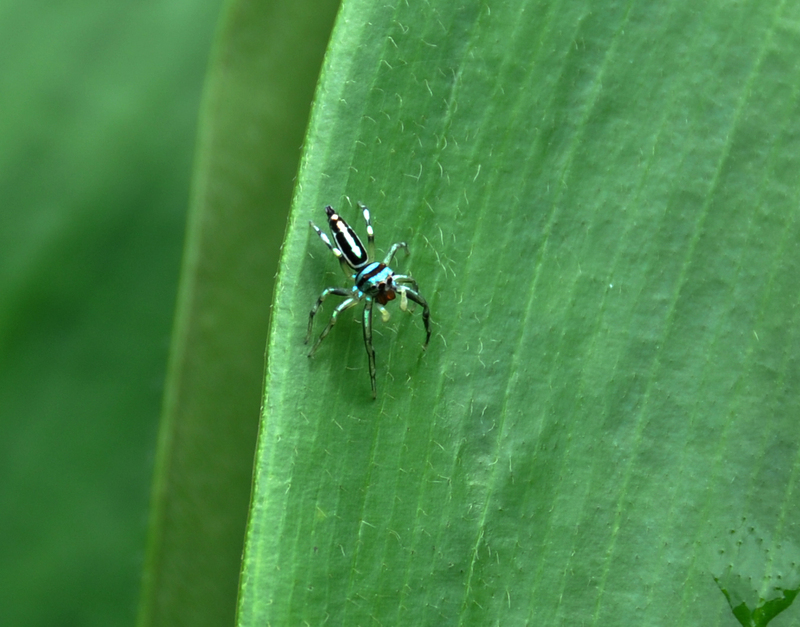 I have included a close-up of the leaf which shows the hairs, as well as a jumping spider. 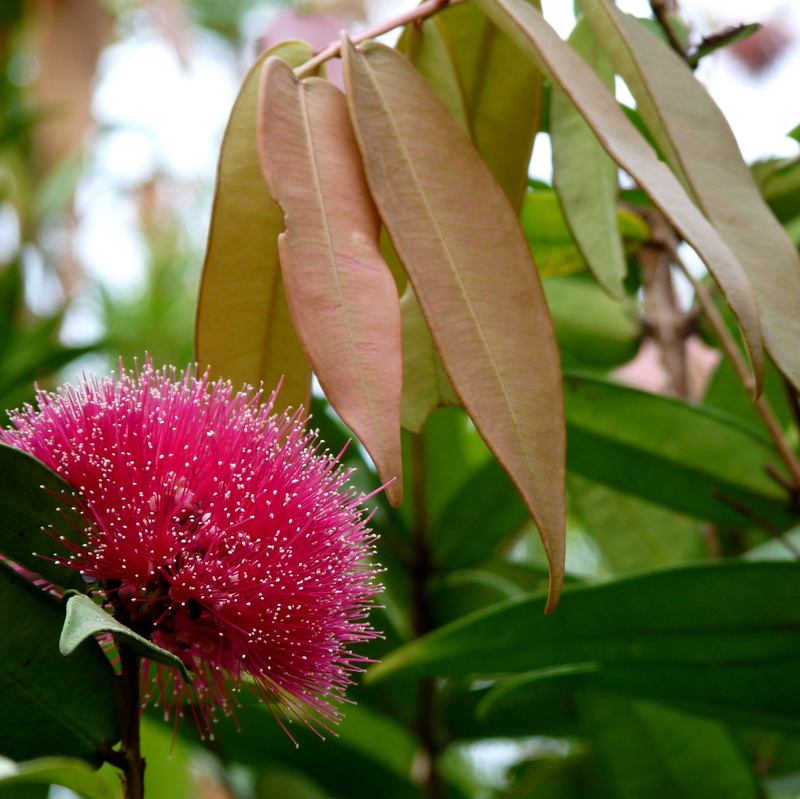 And to finish up on a very bright note ………….. Syzygium wilsonii is flowering profusely. This attractive shrub occurs naturally from the Daintree region south to Hinchinbrook Island, however it is now quite widely cultivated. At a maximum height of about 2 m with colourful new foliage as well as its bright flowers it has become very popular – it can also be grown successfully in semi-shaded situations. 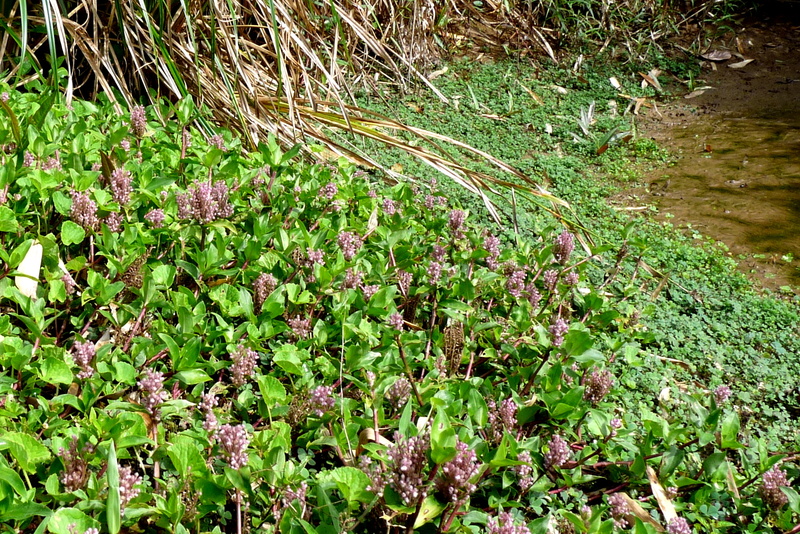 The photo shows an upright flower but more often they hang like lanterns amongst the leaves. This entry was posted in Daintree Plants, Spiders and tagged Costus potierae, Floscopa scandens, Jumping spider, Szygium wilsonii. Bookmark the permalink.